Looking to Buy Cigar Store Indian's, or any other Trade Figure seen on this site? Please take note of the figure, i.e. Antique Indian 001A and include it in your initial contact to Mark, whether it be by the Contact Form, Email, Letter or Phone Call. While not all of these figures are available for sale, he is open to discussing selling a number of items on display throughout the site. To see a list of all items that are currently being sold at a set price, please visit the For Sale Now gallery. Looking to Sell your Cigar Store Indian or other Trade Figure? Please provide as much detail as possible (image, description of peice, year of manufacture, artist and/or manufacturing company, location of manufacturer, any known refurbishing and any other relevant information) in your message. He is always happy to respond to serious offers and very open to discussing interesting trade figures. Looking for a FREE Appraisal? 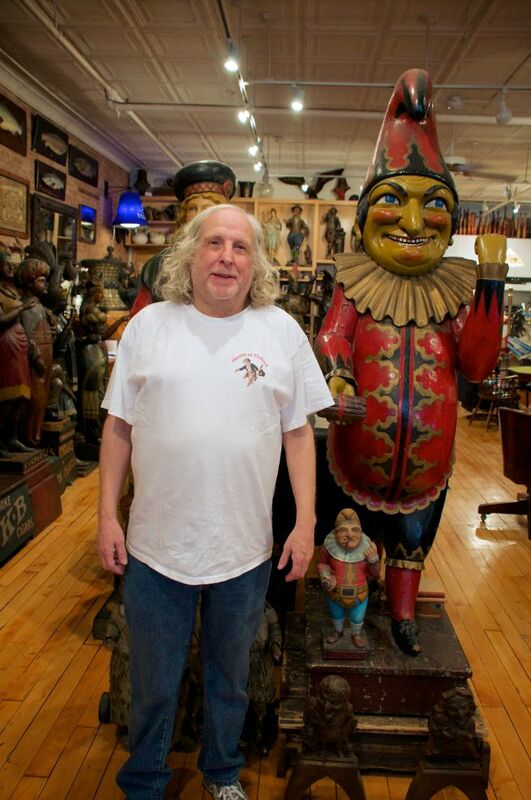 If you are curious as to Mark's expert opinion on a particular Cigar Store Sculpture, please feel free to contact him. He is always happy to share his knowledge and experience in the field! Note: If you would like to send pictures of your cigar store Indian(s) to Mark, please do so via the email address above.